Ever since I can remember, I’ve been a fan of oatmeal cookies. If I remember correctly, my favorite cookie as a child was oatmeal chocolate chip (heavy on the chocolate chips). My taste buds have matured over the years but I still love a great oatmeal cookie. I decided to make a more sophisticated cookie and one that almost mimics Subway’s cranberry cheesecake cookie. 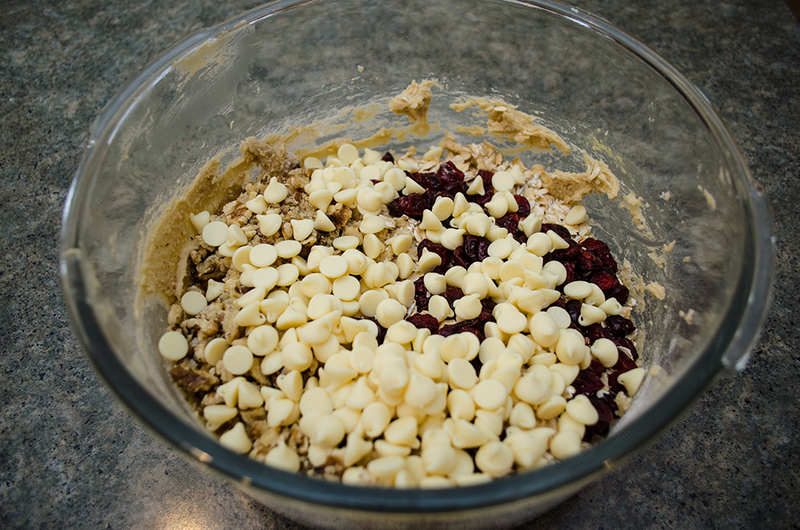 And what I came up with was the white chocolate cranberry oatmeal cookie. They’re crunchy on the outside but soft on the inside and the walnuts give them a very hearty taste. Great for the cold months! 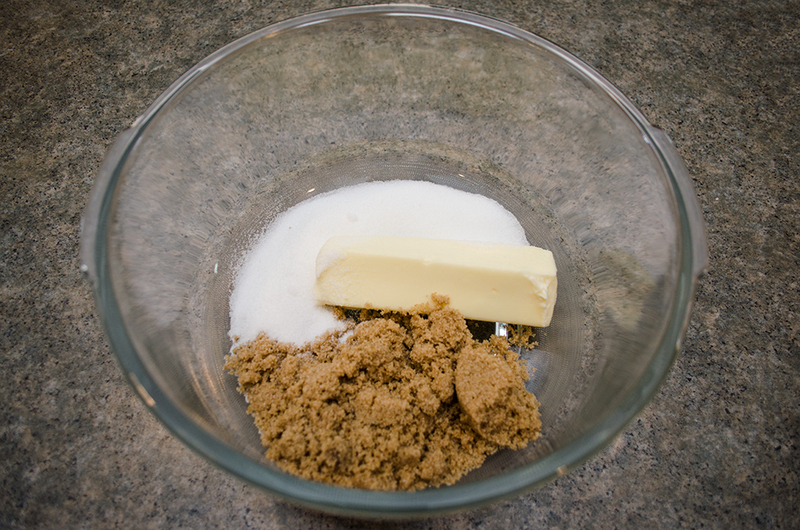 In a small bowl, whisk together the flour, baking soda and salt. Set aside. 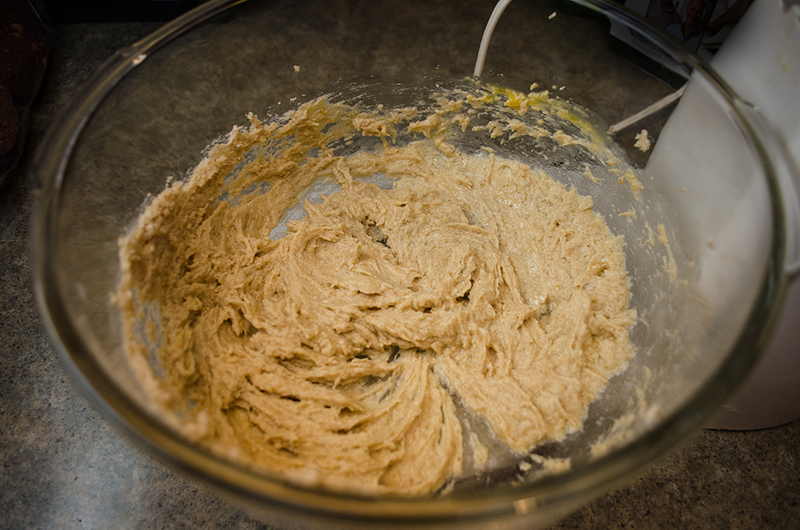 With an electric mixer, cream the butter and sugars until light and fluffy. Slowly add the egg until well combined. Slowly add the the flour mixture in small batches. And then the chopped walnuts. Finally, the white chocolate chips. Mix until well combined. Wet your hands and a small ice cream scooper. Fill scooper and roll into balls. Place on a well-greased baking sheet and flatten with the palm of your hand. 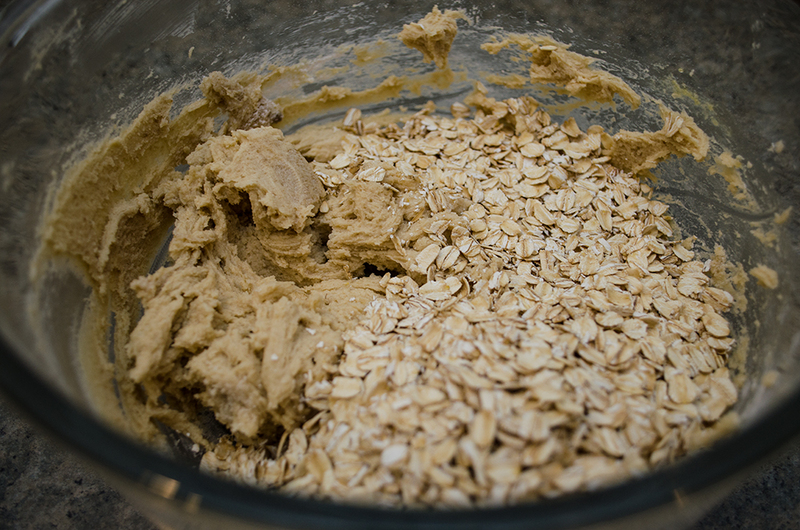 The oats will quickly start to stick to the bottom of the sheet if it is not well greased (or lined with parchment paper). Place in oven and begin the drool. Remove from oven. Centers should still be tender to the touch. They’ll seem like they’re not done but they’ll quickly harden while cooling. Immediately remove from baking sheet and place on a cooling rack for five to 10 minutes before serving. 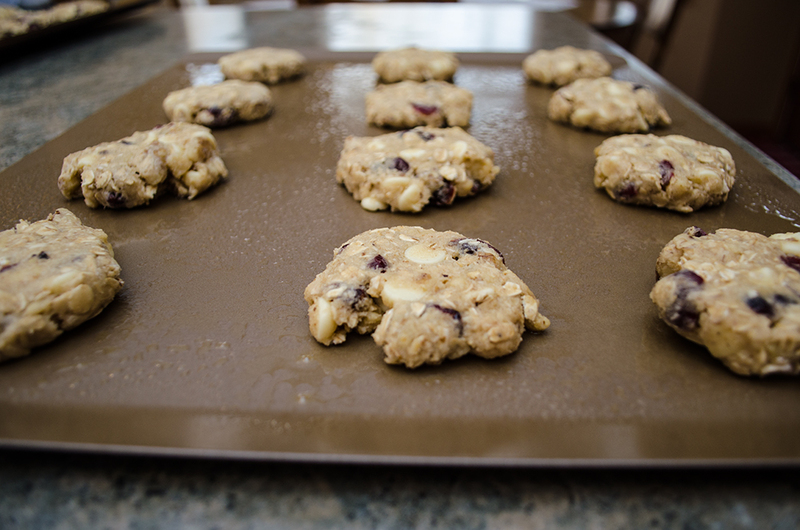 Our recipe for white chocolate cranberry cookies is sure to cure your sweet tooth. 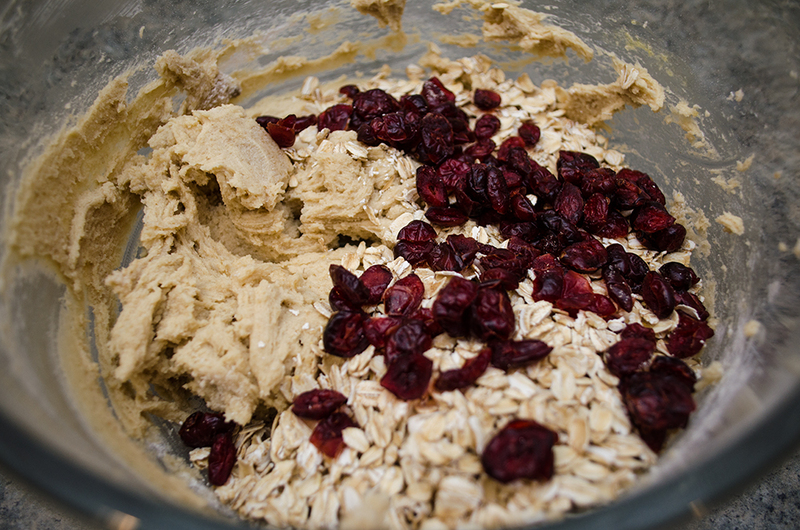 Taste the oatmeal, white chocolate chips, and dried cranberries. Yum! Preheat oven to 375°F with the racks in the upper and lower thirds of the oven. In a small bowl, whisk together the first three ingredients. 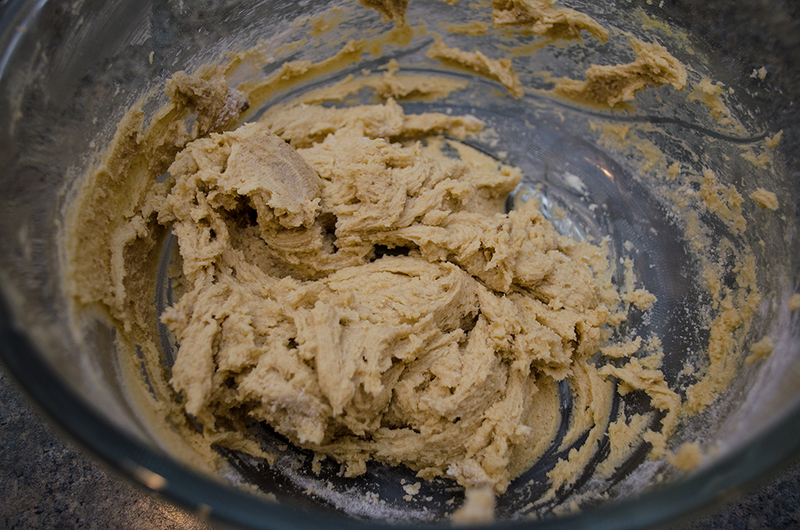 In an electric mixer, cream the butter and sugars until light and fluffy. Add in the eff. 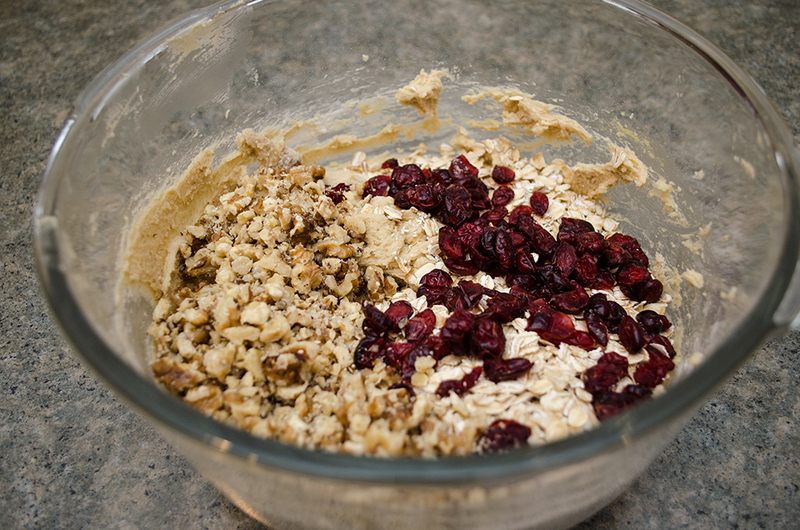 Slowly add flour mixture, oats, cranberries, walnuts, and chocolate chips. Mix until combined. Grease two baking pans or line with parchment paper. With wet hands and ice cream scoop, make balls from the mixture and place onto the pans. Press down on mixture with palm of your hand to make a flat circle. Leave plenty of room between each—they will expand! Bake for 13–15 minutes or until golden and still a bit tender in the center. Switch the pans halfway through and turning 180 degrees around. Remove from oven and immediately place on cooling racks. Yum! These sound delicious! 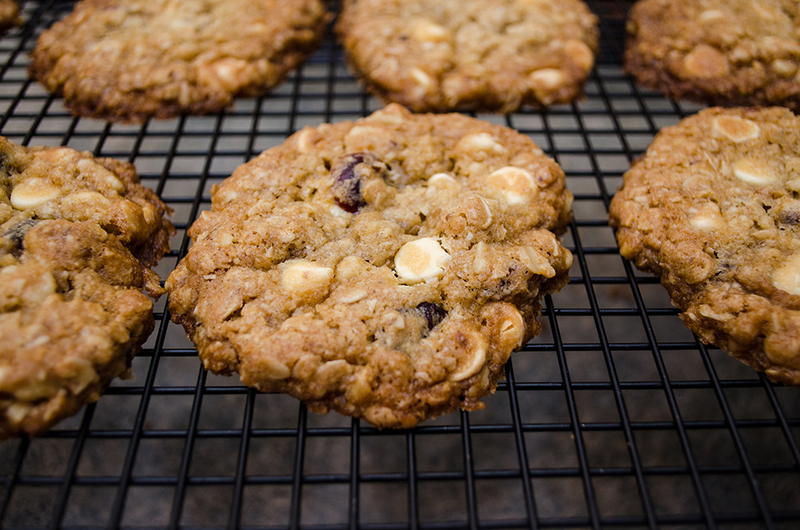 Hearty oatmeal cookies are a favorite of mine, but I didn’t warm to them until adulthood. They’re literally so good. If you like them a little on the softer side, take them out a couple of minutes early. If not, leave them in for the full time. I’ve tried both extremes while testing the recipe and love them both ways. If you try them out, let me know how you like them! Hi! Welcome and nice to meet you! 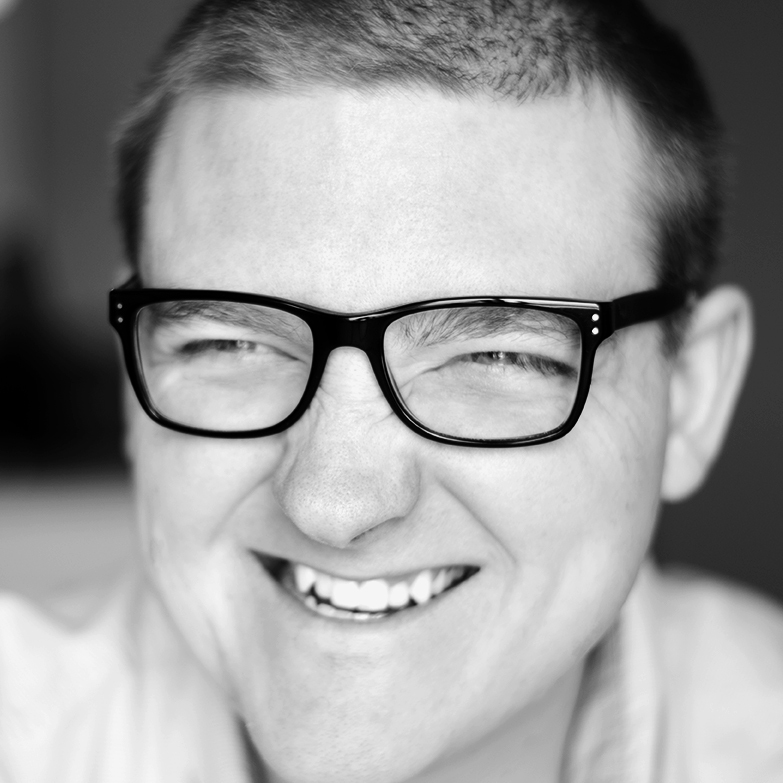 I'm Alex: day-time marketer, night-time recipe creator and professional Netflix watcher. I live in Minneapolis and will never turn down a piece of chocolate. Still waiting for my Fitz Phone. Welcome to the Family!